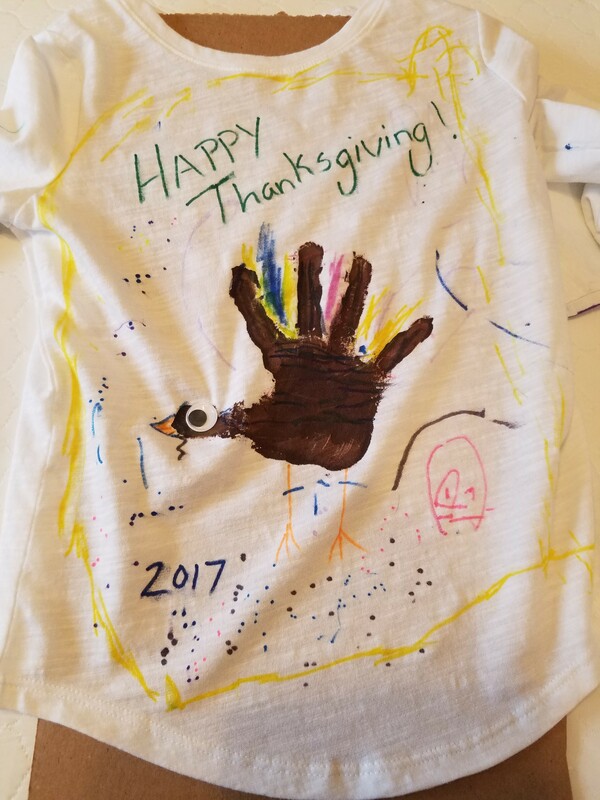 Instead of buying a Thanksgiving T-shirt that the kids will outgrow in one year I figure let them have fun making their own shirt. 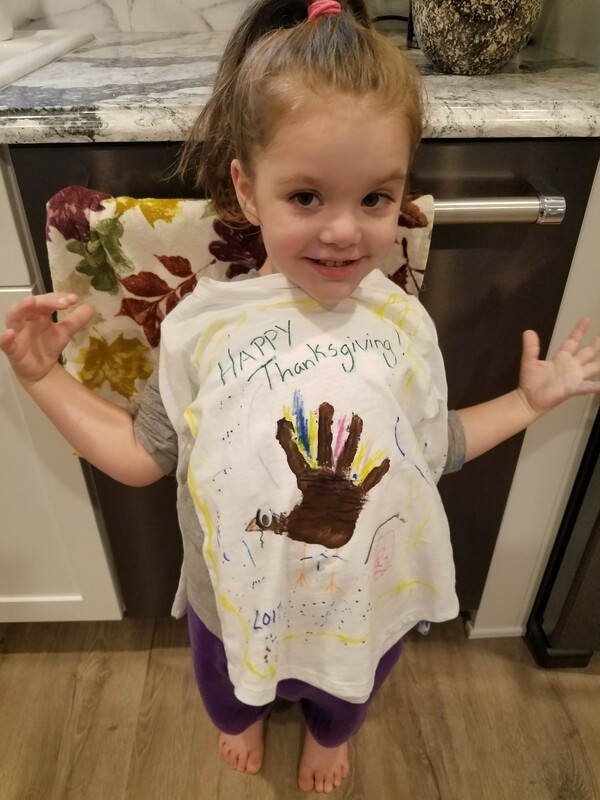 This is a great idea if you did not plan ahead and buy a Thanksgiving themed shirt and need one in a pinch. Of course, you need to allow time for the finger paint to dry. I think they came out great and the girls are proud to wear them! 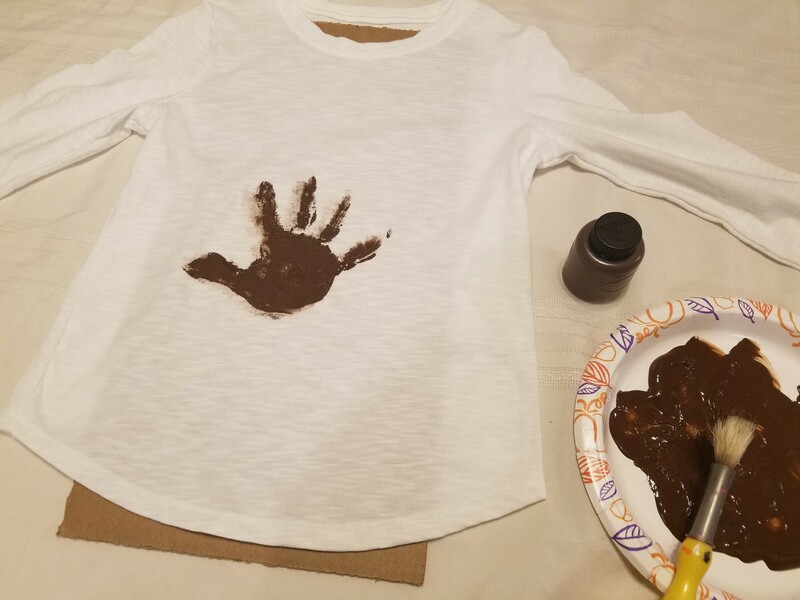 First, have your child put one brown hand print onto the front of the white t-shirt. Be sure to put a piece of cardboard underneath so that the paint doesn’t go to the back of the shirt. Then, once the hand print is dry it is time to decorate the shirt. Have an adult use a hot glue gun and add a googly eye to the turkey’s head (the thumb). Have your children use fabric markers and decorate them anyway they like. That is it! So fun and simple. 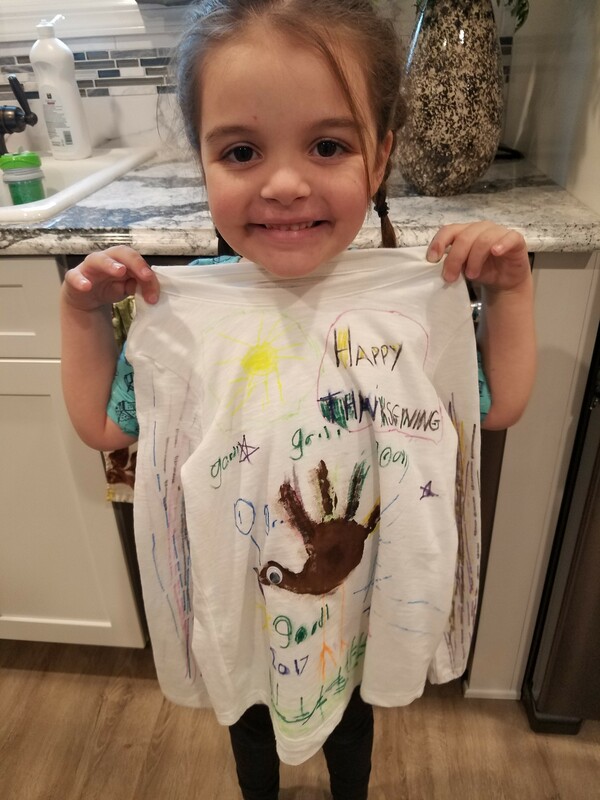 Your kids will be so excited to show off their shirt creations to your loved ones at Thanksgiving! Because of the googly eye, do not wash the shirts. This is a shirt for pretty much one day and a keepsake if you like.